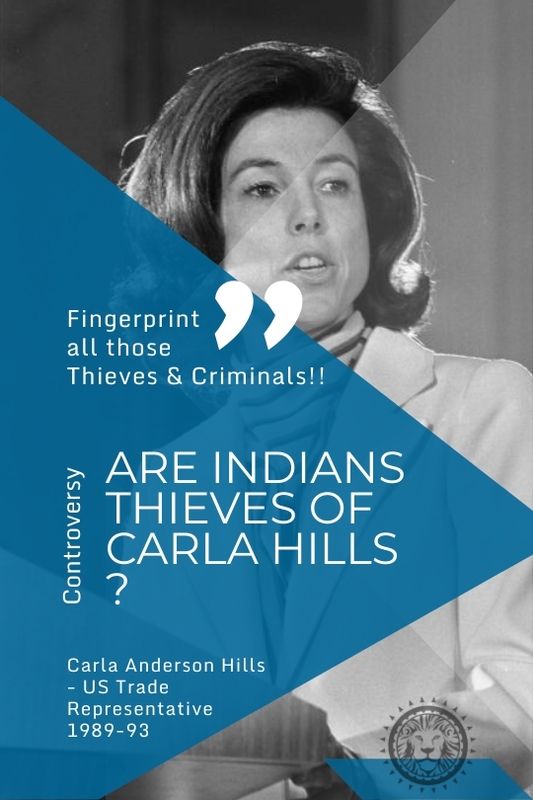 A US Trade Official, Carla Hills, had once triggered a massive outrage by calling Indians thieves and criminals. So, are Indians the Thieves of Carla Hills, the Thieves of the Bhagavad Gita or Unique Indian Donkeys of the UID Aadhaar project, or as the author of Mein Kampf would say — are we Rats following the Pied Piper of Hamelin??? The CEO of Google an IIT-Kharagpur Alumni visited the IIT Kharagpur and spoke before a large audience. It is reasonably well known in American circles that several key appointees to the Google are done directly by the CIA (not circuitously and in-directly as is their standard operating procedure). Did even one student of IIT-Kharagpur ask, with the intention of learning, him a question on the open link between the CIA and the Google? Did anyone ask him a question as to why Indians cannot demand from their Government and why India cannot set up its own version of Google? Did the Director of the IIT-Kharagpur think it fit to ask these questions? If no, the students of the prestigious IIT-Kharagpur either are not there to serve our country or are not fit to be students. Public money has been wasted on them. Did we need to wait for newspapers to announce the Snowden (Whose asylum-application India rejected) leaks to tell us that the smartphones and smart TVs can be used as remotely controlled spying devices by a foreign establishment? Do we need to wait till 2013, for the Snowden files to tell us that India was the number-1 target for the American NSA’s snooping? Do we need to wait till November 2016 for foxnews to warn us that Android phones are sending data to China. What does this speak about the foresight of our social guidance? We heard pathetic Rajya Sabha members discussing about putting firewalls around the UIDAI servers. What firewalls?? Did any IIT-student of computer science tell his Head of Department to Escalate to the IIT-Director that all major firewalls have been broken into since the late 1990s? That the word “Firewall” has no meaning in any important security matter today? Did the students of the IITs not ask their professors as to what might be the social impact of these foreign-made devices on the Indian society or why we could not make them in India to the result that India had to import them in such large numbers? If no, the students of the IITs need additional help on the role of Science and Technology in society, in addition to being taught that the IITs should serve our country’s needs first. Did any Indian Chartered Accountant ask and find out how it is that if Google, WhatsApp, Facebook etc are offering services “for free”, then how are they recovering the hundreds of billions of dollars being spent on their establishments, and caution the Indian public about using these “Free Gifts”? If no, they are not fit to be chartered accountants. Did the Institute of Chartered Accountants discuss the matter of accounting concerning this major social issue? No? Then whom are they Accounting? And whom are they Accountable to? A US Trade Official, Carla Hills, had once triggered a massive outrage by calling Indians thieves and criminals. Fingerprint all the Thieves and Criminals ! !……Is this not exactly one of the achievements of the Aadhaar? We have, by our actions, seemingly agreed to what Carla Hills had said: Indians are Thieves and Criminals. Did none of these so-called Bhagavad Gita Exponents, Saraswatis, Aanandas, ..this ji and …that ji… put into practical application the excerpt (3.12) from the Bhagavad Gita using the Loukika translation: “He who takes from them, without returning to them ought..he verily is called a Thief.” Have we not proved, by our own scripture that we Indians are thieves? For our readers, this is the Loukika Translation which they themselves teach. Where are these fit-for-nothing Bhagavad Gita Exponents? Have they run away? Let us put before our reader one of the “relatively smaller” consequences of shoddy computer-security practices in our Indian war history. During the height of the Kargil war the Army had requested to the Western Naval Command to blockade the Karachi Port in an attempt to release the pressure on the Kargil front. A few Indian submarines headed for Karachi under complete radio silence. They were given double-encrypted codes, until they received a signal that matched any of these, they were to continue on the mission. Before they completed the mission, they somehow received exactly these same codes and returned to base — much to the surprise of the shocked Western Naval Command. The Western Naval Command then checked with Naval HQ in Delhi, who confirmed that they had not sent the codes. To the utter surprise of the Admiralty, nobody knew what was happening. So then to finish the Kargil war, because the Navy could not complete its task of relieving pressure by blockading Karachi, the Air-Force was now pushed towards Operation Safed Sagar. Following the war a detailed enquiry was launched, whereby it was found that the American Embassy in Delhi (a top secret NSA spy hub codename DAISY) had sent the codes, because America did not want the war to escalate, wanting instead to protect their vassal state of Universal Terrorism (aka Pakistan) and keep it for the purpose of battering Russia. 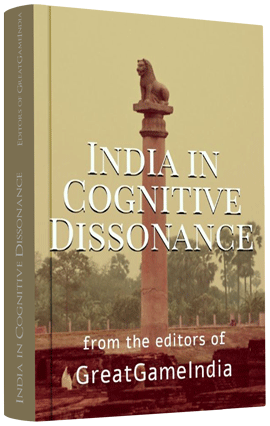 It was such a complete embarrassment to both the Government of India and to the Armed Forces – they prefer not talk about this issue anywhere. The GOI then allocated a budget of 2500 crores to insulate the Naval computers from this kind of un-authorized hacking. Given the experience India has had during the naval war when our double-encrypted naval codes being broken by the American Embassy, we would have thought that far more critical steps would have been taken on the question of cyber-security. However, the public of India, across the spectrum as seen above is simply unable to assist its Government in implementing this, instead is dancing to the tune of slogans being pushed on our well-meaning but powerless MPs by the corporate forces. A similar affair happened when a massive cyber-attack interrupted and stalled temporarily the military and civilian infra-structure of Iran. But fortunately the Russians were able to detect it and they were able to prevent critical damage to the facility. It is now well known that this attack was jointly carried by Israeli and American intelligence agencies. Let us provide another illustration of the dangers of this. As recently as few days ago, a North Korean Ballistic Missile Test failed within seconds of take off. Interestingly the British Foreign Secretary has revealed in a Public Press conference, that the failure was due to the massive cyber-attacks launched by American Intelligence Agencies. Should this not be a warning to our IT-crazed society? 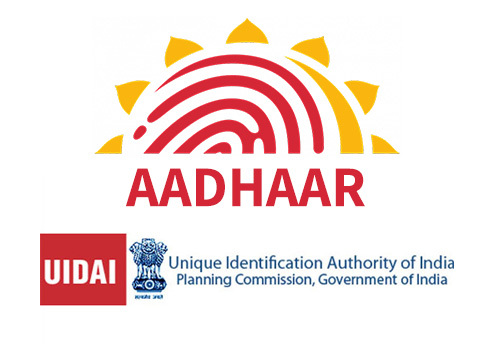 With what we have seen in the UIDAI affair, what do we think is likely to be our fate? So too, any missiles or missile-components developed outside India could fail at the most critical moment because some geopolitical player may not like India defending herself against terrorism which they themselves have sponsored This failure of critical defense equipment at the critical juncture will surely cause immense civilian and military casualties of un-imaginable proportions, and could well lead to the utter and humiliating defeat of India, even at the hands of rag-tag armies or terrorists. But what have we done? We have proudly announced recently that we are giving a contract worth two-billion dollars for the development of missiles to Israel, ostensibly to fill up the gap in our missile-defense? We forget our DRDO which has put in very good effort to build the excellent ballistic missiles and they are working on intercept missiles as part of our missile shield. We have spent Rs 59,000 crores importing the Raphael jets from France, and then given another Rs 14,000-crore contract to Israel to design the headgear for these jets. It would seem that we trust Israeli Scientists but not our own, choosing instead to fingerprint and biometrically-tag our own scientists as if they were thieves. If these two billion dollars were given to DRDO, probably they could have made the best of the best ballistic missiles and missile shields in less than 5 years, which could be shielded from the cyber-or-on-board-computer attacks when we really needed to use them. Where are our so-called “Economists”, who shout about creating jobs? Well, let them know that according to a United Nations Report itself, every billion dollar investment into any country’s economy will create 25,000 high-technology, high-paid permanent jobs. Somehow, unfortunately, this did not sink into our public which resonates to the “Digital India” slogan, when each and every digital component starting from cell-phones to chargers to computers, to laptops to anything called digital is imported from various foreign countries, draining our valuable resources. Not to mention that this has simultaneously completely destroyed one of our premier Electronics and Digital Research Institute set up 40 years ago by the Government of India to help both our defense and civilian digital and electronic infrastructure (the ECIL, Electronic Corporation of India Limited). But given the recent WikiLeaks revelation about CIA access to Aadhaar database and given the pathetic Indian Societal understanding of security issues as seen in this abominable Aadhaar affair, we can absolutely be sure that the CIA, NSA and NGI (the NGI is far more powerful than the NSA) are listening to anything and everything going on anywhere inside India, including inside all its military and security establishments. Their motto: “Your data is our data, your equipment is our equipment – anytime, any place, by any legal means” Do you think India can match this kind of determination with the condition we are in as described above? Let us quote an internal guideline of a well-known Intelligence Establishment to its trainees: “If you pay more than 100 Rupees to get information from India, you are not fit to be our officer”. So, are Indians the Thieves of Carla Hills, the Thieves of the Bhagavad Gita or Unique Indian Donkeys of the UID Aadhaar project, or as the author of Mein Kampf would say — are we Rats following the Pied Piper of Hamelin??? Next Section 6 Indian Nuclear Weapons or Indian Firecrackers?